I’ve always insisted there is a system to my wild “organization style”, and that opinion was confirmed today when I managed to find a writing assignment from high school on Ignatius’ First Principle and Foundation. I’m resisting the urge to edit my teenaged work from across the decades, and am posting it in it’s entirety as part of my Ignatian Week, inspired by Loyola Press’ Find Your Inner Iggy promotion. With his feast day right around the corner, I’m planning to look at some of the ways Ignatian spirituality has shaped my own through re-posts and new material. When this assignment [analyzing the First Principle and Foundation] was first assigned it worried me. Such beautiful words form such lofty goals that I don’t think I could ever live up to them. I was so scared to write this entry. The thoughts running through my head were all about how painfully inadequate I was; I could never lead a life like St Ignatius of Loyola. I was scared; my selfishness, cowardice and ignorance were all made manifest as I read those beautiful words describing a life I’ve never led. God created me to share my life and love with others. I immediately thought of the Baltimore Catechism (who made me? God made me. And why did God make me?) which my mother can still recite and has done so so many times that I know it too. That made me chuckle. But anyway, why else would God make me? To sit around and eat Cheeze-Nips? To play pinball? I believe God created me to share my life and love with others. First statement checks out with me. God created all other things to help me achieve this lofty goal. Whoa. That seemed rather self-centered at first. But then I thought, if God’s ultimate objective is a total communion of all people in love, we are all here to accomplish that. And all the things of the earth, which I believe to be inherently beautiful, are here to intensify the love God wants me to share. In retrospect, it has been mostly “bad things” that have given me true insight into the meaning of everything. So I can safely say, I believe God created all other things to help me achieve this lofty goal. Therefore, I should use the other things God created insofar as they help me attain my goal an abstain from them insofar as they hinder me. Eek. That one was giving me some trouble. I read those words and thought, I’m a bad person. I’ve never been like that. I’ve misused things, and people, hindering myself. Upon further investigation, however, I saw one key word that allayed my fears: should. Whoever wrote these words had the Spirit with them. I should do this. Not I have or I must or I will. It’s okay that I have, do and will slip up, as long as I’m aware that I should try to fulfill God’s plan for me. I believe, therefore, that I should use the other things God created insofar as they help me attain my goal and abstain from them insofar as they hinder me. Yes I do. Therefore, I should not automatically prefer certain things to others. Hmmm, I thought, not bad, but what does that have to do with anything? Then I thought, maybe things that are commonly valued on earth, by myself and by others, aren’t really all they’re cracked up to be? Anyway, I don’t always know best, so I should try to not let my opinions and plans get in the way of God’s chosen plan for me. Inspiring and liberating all at once. Good stuff. It follows, therefore, that I should not automatically prefer certain things to others. My sole norm for valuing and preferring a thing should be this: How well does it help me attain the end for which God created me? Once again I was intimidated by this criteria, and once again the word should made me feel much better. Logic won out, too, as I considered ways to apply this: should I hang out with Jane, who drives a cool car, or Mary, whom I love and who loves me and others? It intimidates me, but I’m glad I now have something to apply to some of those questionable situations. I believe my sole norm for valuing or preferring a thing should be this: How well does it help me attain the end for which God created me? I like it. 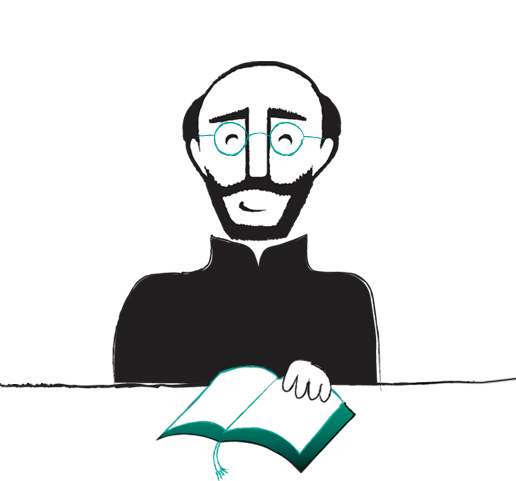 God bless Ignatius Loyola.